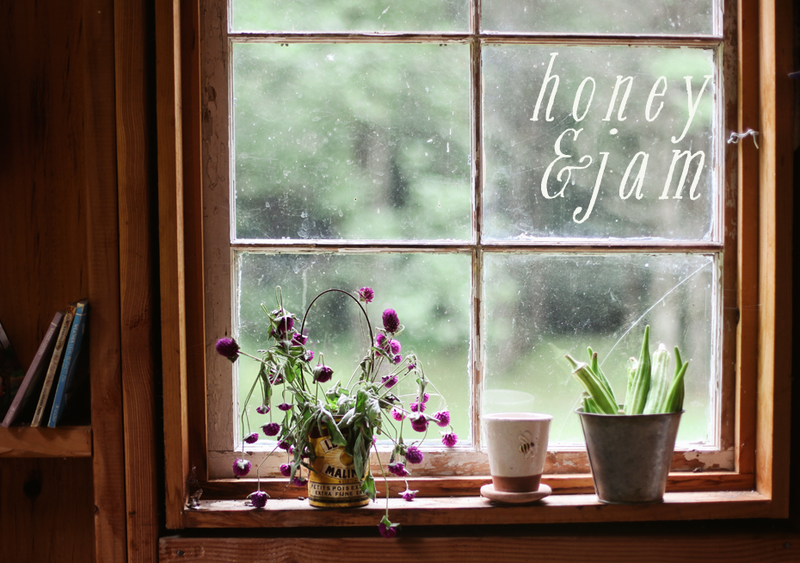 honey & jam | recipes + photos: Things I'm loving! Hi everyone! You know how I haven’t updated my blog in 3 weeks? Yeah. About that. You see, my camera is broken AGAIN! Total bummer, but I should have it back super soon! In the meantime, I thought I’d show you a few of the things I’ve been loving lately. Cake for dinner. Oh yes. 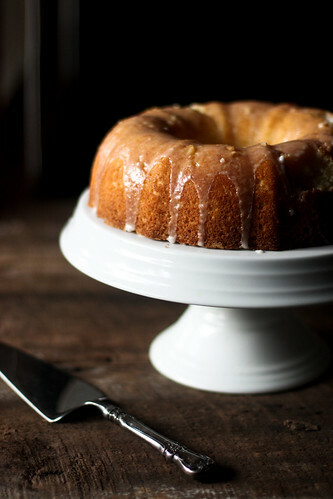 Specifically, lemon cake with lemon glaze. It’s this recipe, minus the rhubarb. 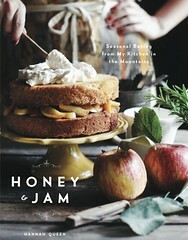 My daily inspiration, fantastic food photographers. My new boots for fall. They are my favorite shade of brown. Everything from shopterrain.com. Pretty overload. 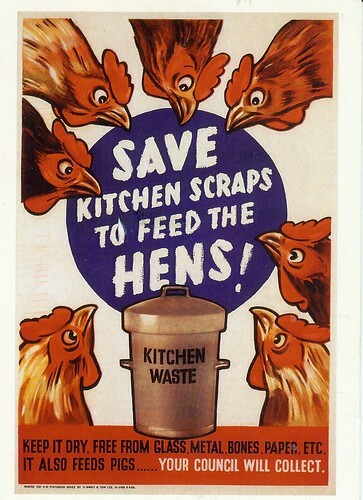 This lovely World War II era reproduction postcard from a friend. Pumpkin spice lattes. As soon as Starbucks has these, it feels like fall. Adorable prints from Mary Kate McDevitt. Could they be any prettier?! I hope you enjoyed! Have a lovely weekend. I adore those boots. I must have them! Maggie: they are from eddie bauer! Terrain! 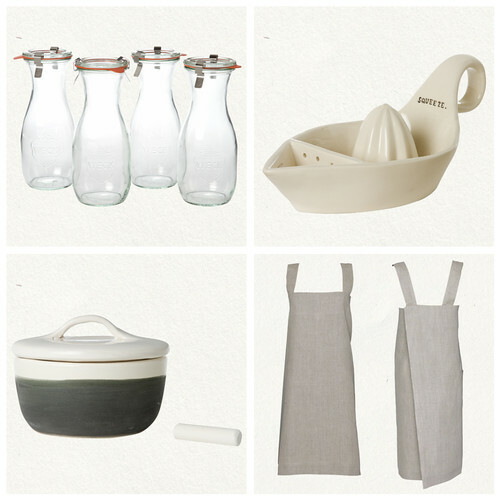 I became familiar with them through DesignSponge and just want to buy everything that they sell. I think that felt ball necklace will be making its way into my life verrrry soon. I can't get enough pumpkin spice lattes either! Love them! I hope you get your camera gets fixed soon. I'm on my third Pumpkin Spice Latté in two days--it's an expensive habit so I need to figure out how to make them. Love and want everything that Terrain sells. I almost ordered the Pumpkin Spice Latte today but decided on a Mocha instead. Maybe tomorrow. I also love the Peppermint Mocha during the holidays! I must have that citrus juicer! I love your "Things I'm Loving" posts! In fact, I'm totally going to rip you off and use this to inspire my posting. I'm in a blogging funk. Hope the camera gets fixed soon! As usual, a lovely post. I love your boots! where'd you snag that pretty cake platter? Yay! I've been eagerly awaiting your next post! :) I love your list of things you love - everything is so pretty! oh i've missed you hannah! and these loves are truly LOVELY. the juicer is brilliant, and that apron. oh my. 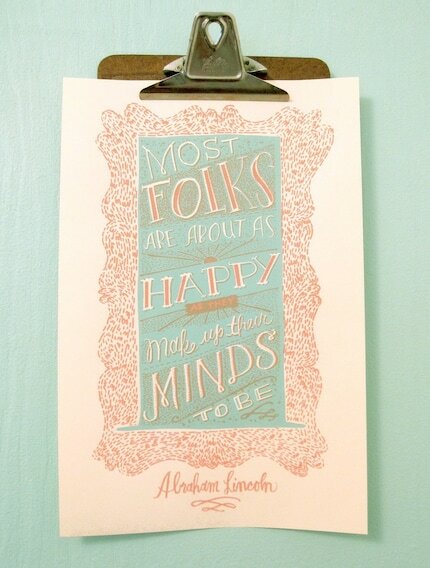 and i am mad about that pretty print of lincoln's quote. and your boots. ps. i do hope the cam is back soon.. that must be maddening. Is that a key lime juicer?? Loved this post! Makes me even more excited about FALL!!!!! darn you for posting that link to shopterrain! ><! i had to blink twice at that list! haha! yes it's true you are actually naming me along with some of my heroes! thank you. 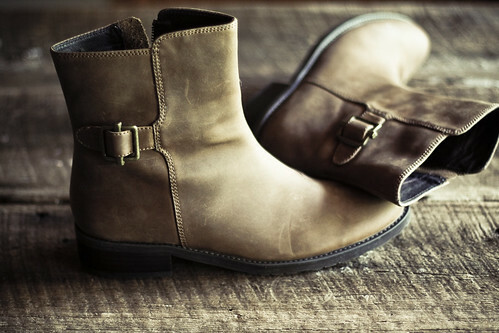 loving some of the finds in this post - especially those boots! Not again!! I hope you get it back soon :) In total agreement about the pumpkin spice lattes, I got my first one of the season yesterday and it was like Fall in a cup! I hope that camera comes back soon. Those are wonderful things, particularly cake for dinner. Good luck with your camera. Did you end up upgrading? Can't wait to poke around Terrain! I hope you get your camera back soon! What a great list of lovely things! 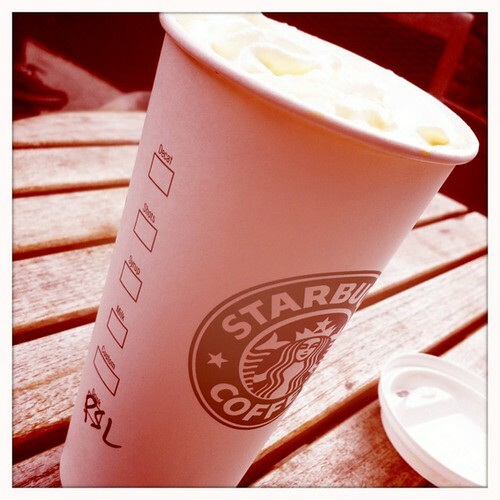 I need to check London Starbucks if they make pumpkin spice latte, sounds divine! Have a great weekend Hannah! Love your new boots!! And pumpkin spice lattes too. Bummer about your camera, Hannah. My camera lens is dirty and that means I have to pick up some kind of cleanser. Not having a camera to document my food is making me sad, and for you who does so much with yours I can image the heartbreak. Nice post and you've ignited some serious wants here. I would love to own a copy of that postcard! sigh. i love your blog. and the boots. and i think we have the same white cake plate (target?). if so, i love it even more. 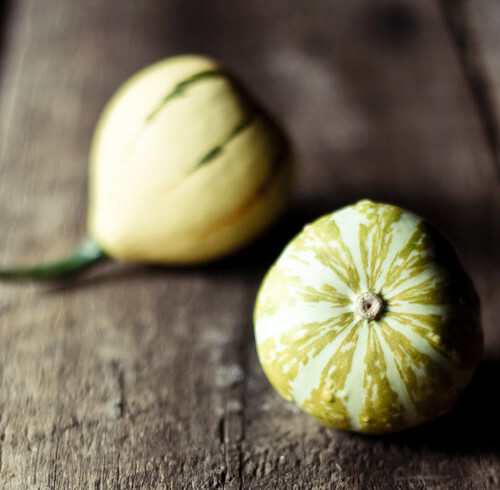 What a beautiful blog! I'm so sorry about your cmaera, that must be pretty frustrating :( The weck jars and boots are my favourite of your favourites - I just bought myself some (boots AND weck jars!) recently. oh the boots and the photos and the photographers. i'm leaving inspired! I've loved your flickr photostream for a while now, but never realized you had a blog until I clicked the link over at The SoHo! Anyways, I just wanted to drop by and say hello! Great collection of photos and I want those boots. They look great for stomping on crunchy fall leaves.